The Sony PlayStation-branded 3D Display will not arrive in the UK until next year, according to reports. 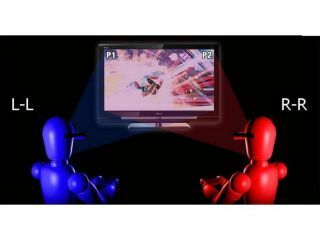 The Display is equipped with Sony's SimulView technology, which allows two different players to see two different 3D images on the same 24-inch screen. After its initial launch at E3 this summer, the £410 display was scheduled for a release this autumn, but unspecified delays means it won't reach European shores until after the turn of the year. The console-enhancing monitor, which comes with two pairs of Sony Active Shutter 3D glasses, has already launched in the United States. Sony hasn't made an official announcement regarding the release delay, but the Amazon UK website confirms that there'll be no European launch in 2011. A notice on the product page says: We have been informed by our supplier that there will be a delay in obtaining stock for this item and it will no longer be released in Europe in 2011. "If you have ordered this item from us at Amazon.co.uk your order will take longer to fulfill than originally estimated. We are expecting an update in the new year." So if you had the nifty, yet-slightly small, PlayStation Display on your Christmas list, time to think again.